The WeMos D1 Mini is a fantastic little board based on the ESP8266 microcontroller with WiFi, but it needs 5V USB power to run. This shield gives the D1 Mini the ability to accept power from 7 to 14Vdc (up to 20Vdc in a pinch) via a 2.1mm DC jack or screw terminals. 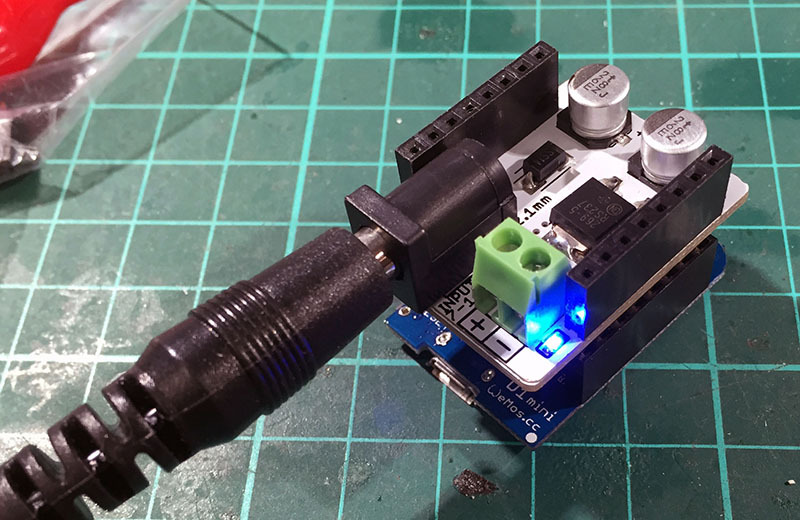 Very handy when you want your D1 Mini to run in a project without a USB connection. You can now buy this shield at Freetronics!